Today, Defense for Children International - Palestine (DCIP) published a new report, No Way to Treat a Child, detailing the widespread and systematic ill-treatment of Palestinian children in the Israeli military detention system. From meals prepared in a makeshift kitchen to adult prisoner "caregivers," the report also gives a rare glimpse into Palestinian children's daily living conditions in Israeli prisons. Nearly 70 years after the establishment of the modern State of Israel, its Jewish population remains united behind the idea that Israel is a homeland for the Jewish people and a necessary refuge from rising anti-Semitism around the globe. 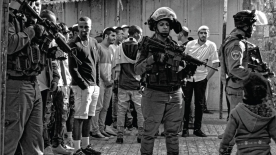 But alongside these sources of unity, a major new survey by Pew Research Center also finds deep divisions in Israeli society. 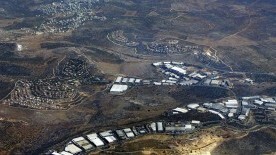 Almost immediately after Israel’s military occupation of the West Bank in June 1967, the Israeli government began establishing settlements in the occupied Palestinian territories. From the outset, private businesses have been involved in Israel’s settlement policies, benefiting from and contributing to them. 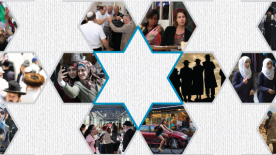 This report details the ways in which Israeli and international businesses have helped to build, finance, service, and market settlement communities. Evidence obtained by Amnesty International indicates that the killing of Hadeel al-Hashlamoun by Israeli forces in Hebron, in the occupied West Bank, on 22 September 2015 was an extrajudicial execution. Israeli soldiers shot and mortally wounded 18-year-old Hadeel al-Hashlamoun after they stopped her at a checkpoint in the Old City in Hebron. A new report released by a United Nations investigative panel on the possible commission of war crimes in Gaza during the 2014 conflict between Israel and Palestinian armed groups in the enclave, has gathered substantial information finding the allegations to be credible, the Organization’s human rights office announced today. Blockades, war and poor governance have strangled Gaza's economy and the unemployment rate is now the highest in the world according to the latest World Bank economic update. 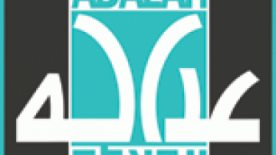 The report will be presented to the Ad Hoc Liaison Committee (AHLC), a forum of donors to the Palestinian Authority, at the bi-annual meeting in Brussels on May 27, 2015. 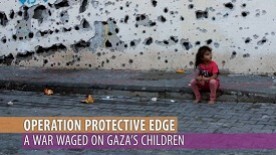 Defense for Children International Palestine today released a report, Operation Protective Edge: A War Waged on Children, detailing the high price paid by children during Israel’s assault on Gaza last summer. Operation Protective Edge, which lasted 50 days between July 8 and August 26, claimed the lives of 2,220 Palestinians, including at least 1,492 civilians, according to the United Nations Office for the Coordination of Humanitarian Affairs.